Our skin is the most sensitive part of the body. It helps in protecting our organs by giving a shell to it. Skin is the outer most layer of the body which is very delicate and fragile. 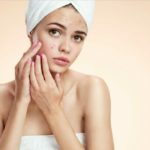 The skin is affected by dust, pollution, dirt, and harmful UV rays of the sun, which causes acne, pigmentation, excessive oily or dry and patchy skin. The skin needs proper care and nourishment to prevent skin troubles. 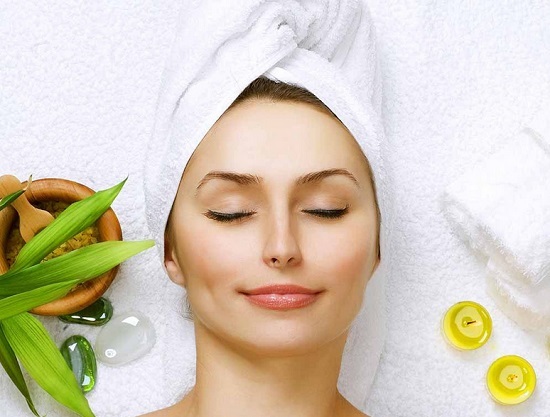 A soft and glowing skin is a healthy skin, which is rare these days. With our changing lifestyles, we give less emphasis to our body and its requirement. Due to this, people are facing skin diseases & skin problems, for the solution we go to skin specialists, taking medicines and making all possible efforts to cure it. We spend so much money on skin treatments to get that flawless and radiant skin. But do you know that all these treatments may harm your skin from inside? Yes, it’s true. The skin treatments include high amount of chemicals that may affect your skin in the future or just after the treatment completes. Skin cancer is the most common problem caused due to chemical based products and treatments. 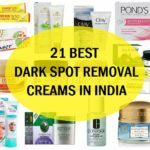 There are many products that claim for healthy and glowing skin like radiant capsules, night and day creams, gels, moisturizers, etc. Moreover, all such skin products do not work as they states. This is a whole circle of marketing and sales generating techniques. Today, consumers are being fooled by companies with their false claims on products. To get rid of the skin problems without any side effects, women should make an attempt in believing the natural way of skin care. 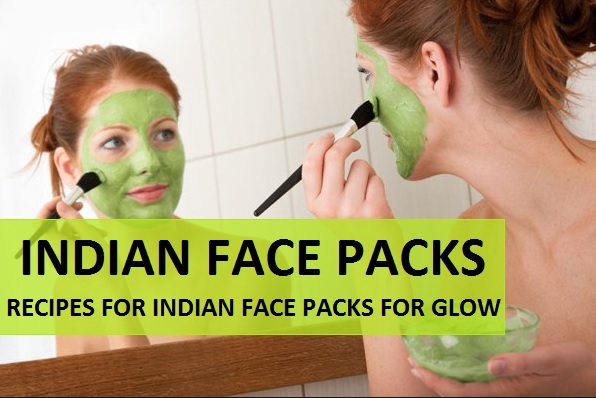 Today I’ve some useful Indian face pack recipes for all skin types to get glowing and fair skin in just a few weeks!! Tomatoes are the best remedy for dark, lifeless and dull skin. It is rich in anti-oxidants which help in achieving clear and glowing skin. It also has loads of vitamin A, vitamin C and vitamin E which are really essential for good skin and health. This is also one of the best remedy to get clear face faster. Mix the above ingredients and apply it on the face. Keep until it dries out and wash it with cold water. This Indian beautification pack will help you in reducing dark spots, blemishes and removes excessive oil and dust. 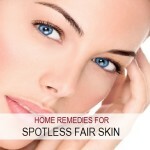 Try this pack to get spotless and radiant skin. If you are not aware about your skin type, then read our post on How to know the skin type at home. Aloe Vera is a small plant that has various benefits. 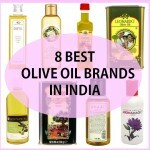 It is used in making creams, shampoo’s and other skin and hair care products. It is widely used in making herbal medicines. The aloe Vera gel is rich in all micro nutrients that gives perfect and glowing skin. Take some Aloe Vera gel in a bowl from Aloe Vera leaves. Now add some almond oil in the mixture. Now massage the pack onto your face in circular motion and then keep it for 10 minutes. This pack is really good for summers and winters; it will make your skin soft and smooth and shiny. So girls! Do try this remedy. The skin benefits of sandalwood oil can be attributed to its antiseptic, inflammatory and anti bacterial and skin tonic agents. It heals scars and dark spots. It improves the texture of the skin overall. It also gives radiant and flawless skin. Try this new sandalwood Indian face pack with this recipe. Mix a pinch of turmeric powder into it. Add some rose water and make a thick pack. Now rub this pack on your irritated skin or tanned skin. Keep it for a few minutes and wash it with Luke warm water. Cucumber has a great cooling substance that helps in making skin fresh and clean. It cleanses the pores and removes excessive oil and dust. It prevents skin from pigmentation and acne. Mint contains omega-3 fatty acids and vitamin A helps in to get rid of acne and dull skin. It deeply cleanses the dirty skin pores. It is a best face pack for tanned skin in summers! Take one sliced cucumber and some mint leaves, finely washed and chopped. Apply gently on the skin and wash it after 15 minutes. Strawberries have skin lightning, anti ageing and anti-darkening properties. It exfoliates the skin cells and helps to restore moisture. It also contains high levels of vitamin C that fights the oiliness on the skin. 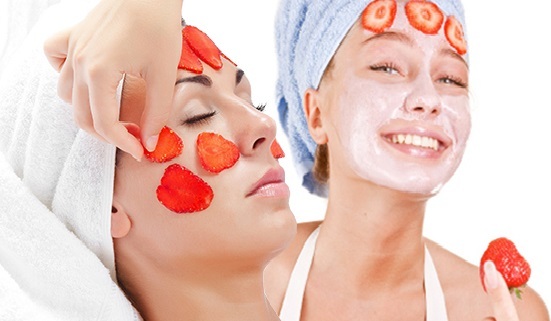 Here is the recipe for this strawberry face pack.